Hope Presbyterian Church of Minneapolis voted to leave Presbyterian Church (USA) and was dismissed back in May. The financial settlement for leaving was reached in late June. The agreement was made between Hope Presbyterian and the PCUSA regional body it once belonged to, the Presbytery of the Twin Cities Area. In return for being allowed to leave, Hope Presbyterian must pay the presbytery the sum of $1.2 million and lose one of its campuses, named the Oliver Christian Ministry Center. David Lenz, pastor at Hope Presbyterian, provided The Christian Post with comments on the matter, including the large cost for being granted dismissal from PCUSA. "We had hoped for a much smaller settlement and it took time to accept that this was the price we must pay to follow what we believe to be God's call," said Lenz. "Given that, we are glad that we will be able to keep our main campus in Richfield and Camp Ojibway, the camp we own and operate in Eden Valley, MN, for approximately 10 percent of the appraised value." Hope Presbyterian must pay for its church property due to an item known as the "Trust Clause." Found in Part II of the Constitution of the PCUSA, Section G-4.0203, the "trust clause" states that all Hope Church's property is held in trust for the benefit and use of PCUSA. Hope Presbyterian will be joining the Evangelical Covenant of Presbyterians, a smaller more conservative Presbyterian denomination formed in 2012. "We are excited to be joining ECO. We are deeply drawn to the excellent and eloquent statement of Essential Tenets that we will 'receive, adopt, and be bound by.' We are inspired by the spirit of innovation that permeates ECO," said Lenz. "We look forward to being a denomination whose mission is to help congregations flourish. We anticipate being challenged by ECO to participate in church planting and formation of new worshipping communities. We value ECO's clear affirmation of women in leadership." Founded in 1954, Hope Presbyterian boasts approximately 1200 members and about 650 in regular attendance. 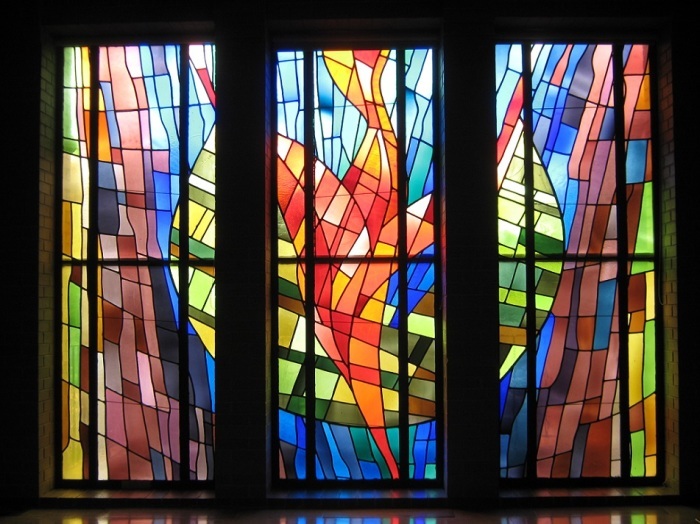 In May, the congregation voted overwhelmingly to seek dismissal from PCUSA and to join ECO. It was the culmination of a process of discernment that was begun in 2012. In a statement adopted by Hope Presbyterian's leadership, the church argued that they sought to disaffiliate from PCUSA for multiple reasons. "When a denomination lacks a coherent theological center, mission gets sidelined. When a denomination lacks trust, relationships are difficult. When a denomination has a bureaucratic mindset, innovative ministry is hampered," read the statement adopted by the Session. "When a denomination asserts control over a congregation's property and assets, facility and asset development is compromised. We believe Hope Church would be better served in a different denominational home than the PC(U.S.A.)." The process began not long after a majority of presbyteries in PCUSA voted to allow the ordination of non-celibate homosexuals. In comments given to CP, Pastor Lenz spoke of the present step being the raising of funds to pay the settled amount with the presbytery. "We will borrow this amount and engage in a fundraising campaign. This will be a huge challenge for us but we are trusting God," said Lenz. "We look forward to moving into ECO, making new friends, and experiencing a new way of being the church." As a member of ECO, Hope Presbyterian now falls under the conservative Presbyterian body's Presbytery of the West. Bob Bullock, moderator of the Presbytery of the West and pastor at West Isle Presbyterian Church in Galveston, Texas, told CP about the growth the ECO regional body is experiencing. "There are now 70 churches in the five new Presbyteries that made up the original ECO Presbytery of the West," said Bullock. "There are roughly forty churches on their way into into ECO West at this time. Four of those will ultimately make their way into the ECO Presbytery of Texas to join the eleven congregations we presently serve." Regarding Hope Presbyterian, Bullock told CP that ECO was "honored to have such a fine church as Hope become part of ECO."